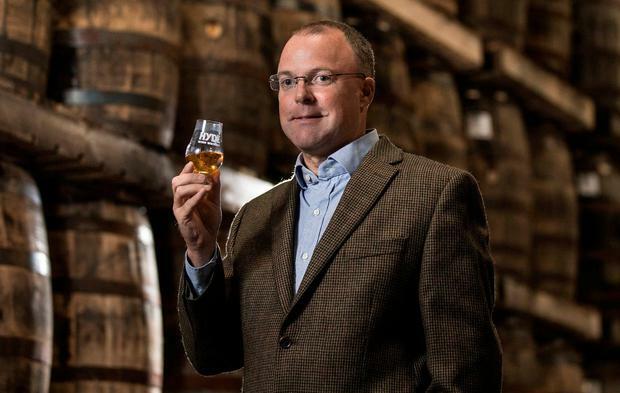 Whiskey-maker Conor Hyde stressed that the Budget could have taken common-sense steps to support fledgling exporters like his firms, so they are better prepared for the potential fall-out from Brexit. "Ireland has the second-highest alcohol excise tax in the EU [after Finland]," he said. "In addition to this, VAT is also levied at 23pc." Hyde Whiskey exports to 35 countries, but six account for more than 50pc of its annual sales. The firm was founded in Innishannon, Co Cork, in 2014 and doubled its workforce from four to eight staff in the past 18 months. The aim was to offer prestige Irish whiskey products for the domestic and export market. Mr Hyde said most Irish drinks businesses start focused on the domestic market. "A lower alcohol excise tax levied on start-up drinks businesses, until they reach a certain turnover level of perhaps €1m in annual sales, would allow fledgling start-up drink businesses to spend more money on marketing and expanding into new export markets and to develop new products. "Having fewer barriers to growth and innovation would be very helpful to start-ups, especially with the threat of the slowing UK trade, in the event of a hard or chaotic Brexit in March 2019." The Irish whiskey sector has seen phenomenal year-on-year sales growth, outpacing all other spirits, with nearly 10 million cases sold in 2017.